Gold medal-winning heptathlete, presenter and broadcaster. 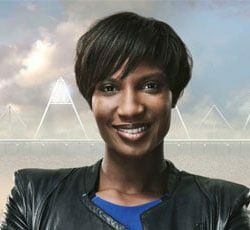 Olympic gold winner Denise Lewis is a charismatic and accomplished corporate host who will impress any audience. Denise Lewis OBE is one of the ‘golden girls’ of British athletics. She won gold in the heptathlon at the 2000 Sydney Olympics and set the British record of 6831 points at the same time. She was subsequently inducted into the UK Athletics Hall of Fame. Since her retirement, Denise has undertaken various television and media work, appearing on BBC1’s Strictly Come Dancing and in Let’s Dance for Comic Relief, reaching the final of the competition. She also appeared on ITV1’s The Cube, All Star Family Fortunes and BBC1’s Pointless from 2009 to 2012. In 2011/2012, Denise presented two series of Camp Orange for Nickelodeon and also joined Dame Mary Peters for her BBC NI documentary The Run of Her Life. 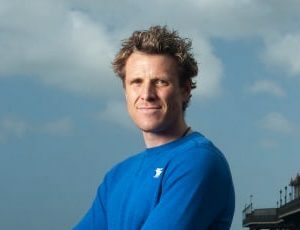 In the spring of 2012, Denise undertook the challenge of rowing the channel with John Bishop, Davina McCall and Andrew Flintoff for Bishop’s Week of Hell for Sport Relief. Later the same year she anchored the Woman of the Year awards for ITV1’s Lorraine. She also joined the BBC’s London 2012 Olympic broadcasting team, reporting daily from the Olympic Park throughout both the trials and the main competition. In 2014, Denise covered numerous key athletic events for the BBC, including the Commonwealth Games, the European Diamond League and the London Marathon. She also joined Davina McCall for another gruelling challenge for Sport Relief, and competed in the wheelchair basketball event at the 2014 Invictus Games with the match broadcast live on BBC1’s The One Show. In the same year, Denise was included as a presenter on BBC1’s Seven Wonders of the Commonwealth, in which she travelled to Zambia to report on the spectacular sight of Victoria Falls. She also took on the ambassadorial role for the Investec Epsom Derby and QIPCO Champions Day at Ascot, along with a similar ambassadorial role for 2014’s Telegraph Be:Fit event, a female health and fitness convention, which she carried through to 2015. In 2015, Denise undertook a number of presenting roles, including fronting the BBC daytime programme Right on the Money with co-host Dom Littlewood. She also completed a stint on the red sofas, co-presenting BBC’s The One Show, following the huge success of her episode of BBC’s Operation Meet the Street, and featured as a contributor on ITV’s Give a Pet a Home, ending the series by adopting a dog of her own. Other guest slots have included Sky Sportswomen and Celebrity Squares. Denise has also been appointed president of Commonwealth Games England. As one of the BBC’s most credible commentators, Denise has also covered the EAAF European Indoor Athletics, The European Team Championships and the 2015 World Athletics Championships and she will be part of the broadcasting team for the Rio 2016 Olympics. Denise is considered to be one of the UK’s most successful female athletes and her charismatic personality makes her an impressive corporate host.